A revolutionary one-step skincare solution to cleanse and hydrate while leaving skin feeling soft and refreshed. 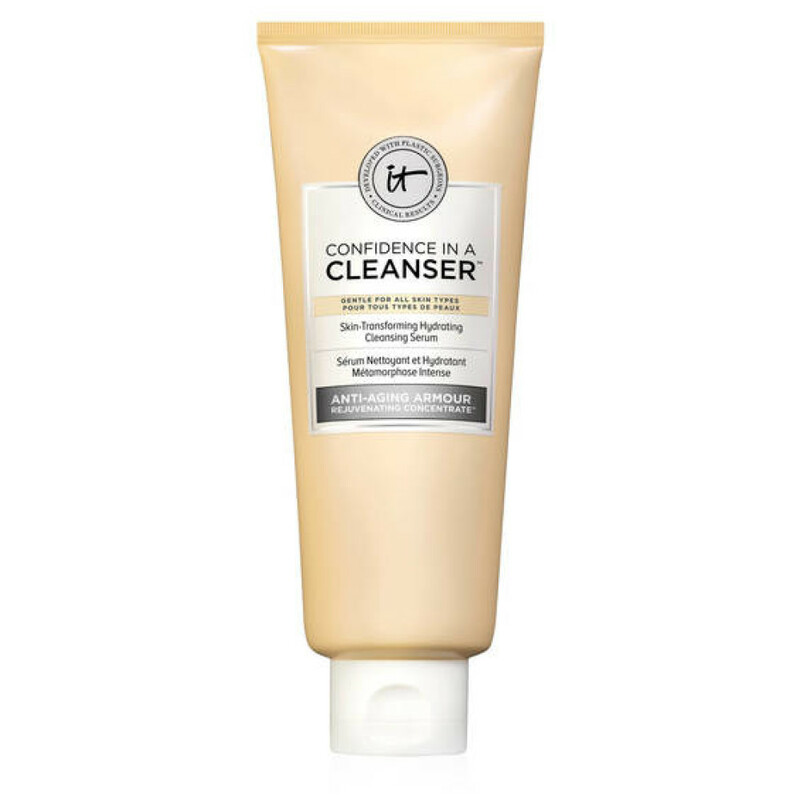 Developed with plastic surgeons, Confidence in a Cleanser™ is your skin-loving, game-changing cleanser and serum in one. This breakthrough skincare solution gently cleanses and moisturizes, leaving your skin feeling soft, refreshed, and perfectly balanced. It’s ideal for all skin types, and is ophthalmologist-tested to be safe for your sensitive eye area. 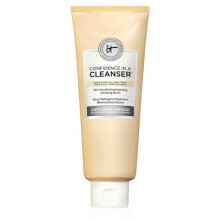 This sulfate-free and soap-free facial cleanser removes all traces of makeup—even waterproof eye makeup—so your skin feels completely clean. The formula features IT Cosmetics’ proprietary Anti-Aging Armour Rejuvenating Concentrate™ to help your skin appear rejuvenated and restore moisture. It also includes anti-aging collagen, hyaluronic acid, colloidal oatmeal, and a super ceramide complex. 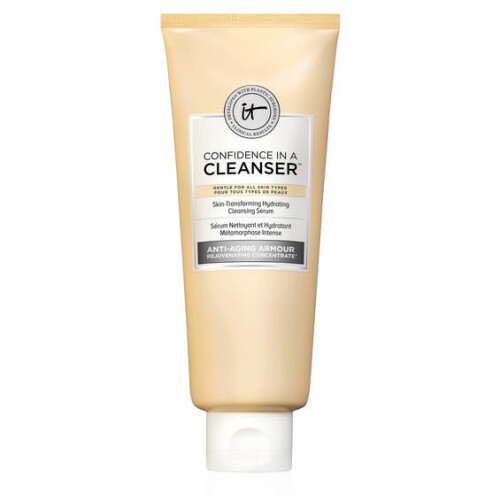 Confidence in a Cleanser works over time to deliver dramatic results.